APRIL 2019 • STUNNING REVIEW of the new LUNA ROSSA album 'ATROPA'! "There is a deeply evocative element to Luna Rossa's music. I challenge anyone to listen to the summer love song 'Special One' without waking their inner giggling teenager - it simply can't be done! A record that may just be the duo's best yet". The magazine is OUT NOW, available from WHSmith and all good newsagents; and this edition also features exclusive interviews with Steve Earle, Bob Moulds, & Mercury Rev. ORDER YOUR COPY OF 'ATROPA' NOW! MARCH 2019 • LUNA ROSSA announce exclusive one-off show with Panic Room : 'FIREFLIES'! 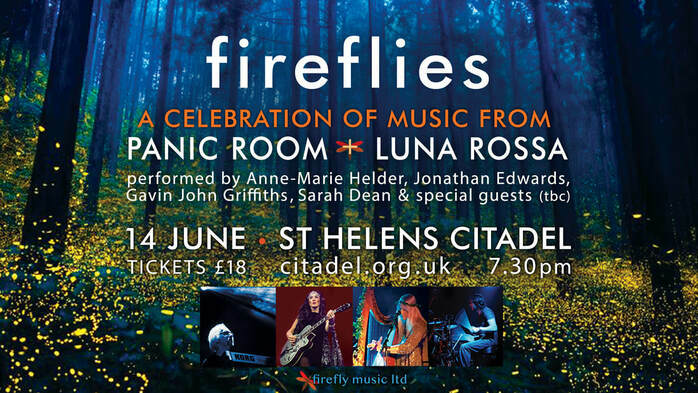 We are excited to announce that Anne-Marie, Jonathan and Sarah Dean of LUNA ROSSA will be playing a very special one-off show at The Citadel, St Helens on 14th June 2019!!! It will be a night to remember, featuring a rich selection of the best songs by both PANIC ROOM and Luna Rossa - drawing from a vast 8 albums between them! G E T Y O U R T I C K E T S N O W ! ! ! "Just when it seemed PANIC ROOM's Anne-Marie Helder and Jon Edwards' side project couldn't garner any more plaudits, ​they drop 'Atropa'. ​It is a wonder and the finest Luna Rossa album to date". Huge thanks to Rachel Mann of PROG Magazine for her wonderful, detailed and thoughtful review of the new LUNA ROSSA album 'ATROPA'! It's rare to read a review which really 'gets' what the artist is trying to do with their music, but the Rev. Rachel really does! You can read her full review in the January 2019 issue of PROG Magazine - OUT NOW!!! This edition also features an extensive interview with Steve Hackett, along with articles on the making of 'Selling England By The Pound' and Jean-Michel Jarre. DECEMBER 2018 • The new LUNA ROSSA album 'ATROPA' - ​NOW AVAILABLE ON CD & DOWNLOAD!!! 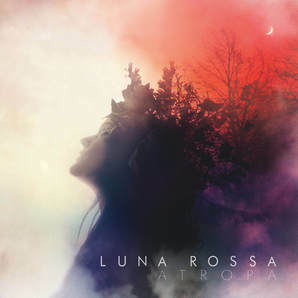 'ATROPA' - The new album from LUNA ROSSA is now available both on CD and Download! The album features 10 breathtaking and original new songs, along with 2 unexpected cover versions from opposite ends of the musical spectrum - ABBA's 'The Winner Takes It All', and 'Make Me Promises' by Dave Stewart & Barbara Gaskin! NOVEMBER 2018 • LUNA ROSSA announce Pre-Orders for their new album 'ATROPA'!!! LUNA ROSSA are excited to announce that their new album ATROPA is now available to PRE-ORDER!!! Pre-Orders begin on Friday 2nd November, ahead of the Official Release date of Friday 16th November. The band and their label - Firefly Music Ltd - have teamed up with BURNING SHED in a major new collaboration which will see all of the Luna Rossa album orders being handled through a new Official Luna Rossa CD Store at BurningShed.com! This partnership will allow the music of Luna Rossa to reach an even wider audience, as the excellent team at Burning Shed will be co-promoting the new album and sharing the news with their Mailing List of 40,000+ subscribers! Burning Shed was established in 2001, and is a successful independent record label and online retailer. Steven Wilson, XTC, KScope, King Crimson, Peter Gabriel, Rick Wakeman, Anathema, Big Big Train, Jethro Tull, Sandy Denny, and many more. OCTOBER 2018 • LUNA ROSSA unveil their new album : 'ATROPA'!!! & Get your tickets NOW for the ﻿UK TOUR﻿, which will feature the Debut live performance of material from ATROPA!!! And to celebrate, they will be hitting the road with their biggest ever UK Tour!!! Check out the official TOUR page now for all dates + tickets! ​And we can promise you another phenomenal collection of new songs, from the writing of Helder & Edwards! 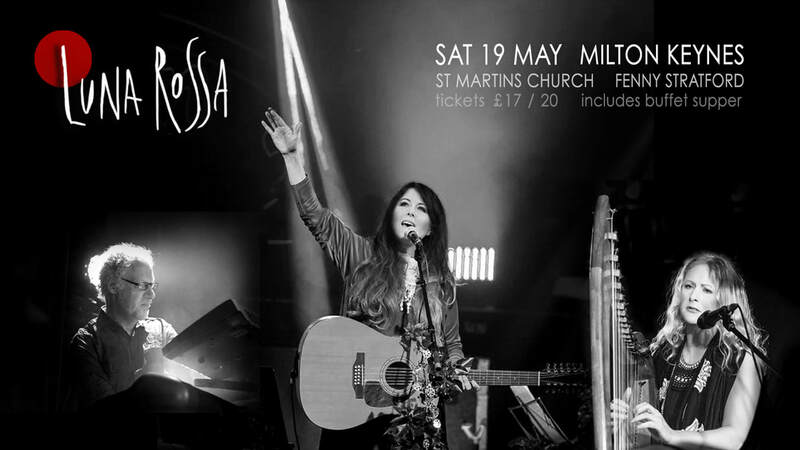 LUNA ROSSA will be playing a very special & exclusive show on Saturday 19th May, at St Martins Church in Fenny Stratford (near Milton Keynes). This will be the group’s first live performance of 2018, and will include music from both of their critically acclaimed albums to date... plus some special treats, just for this event! ​LUNA ROSSA will perform Live at the legendary MARILLION WEEKEND this month - on Saturday 25th March in the Netherlands! 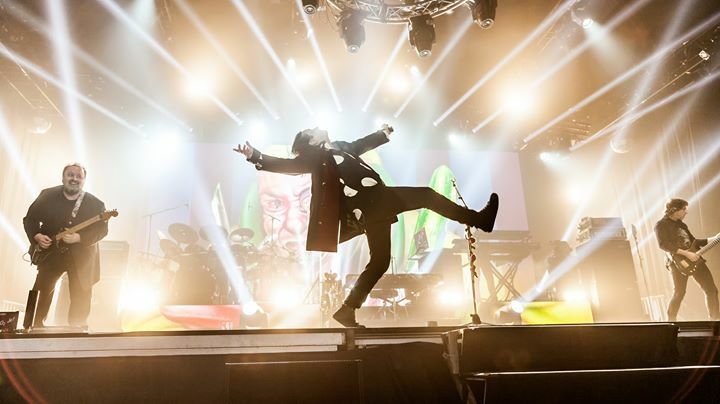 The band are humbled and delighted to have been invited by Marillion to perform at this incredible event, which brings together 3,000 fans from around the world. This will also be Luna Rossa’s first-ever show outside of the UK, and they can’t wait to play to the amazing Marillion fans! Anne-Marie & Jonathan will perform a special 1-hour set at the festival, on Saturday afternoon at the ‘Adventure Factory’ stage. Their set will include music from both critically-acclaimed albums, including the stunning title track of their latest release ‘Secrets & Lies’. 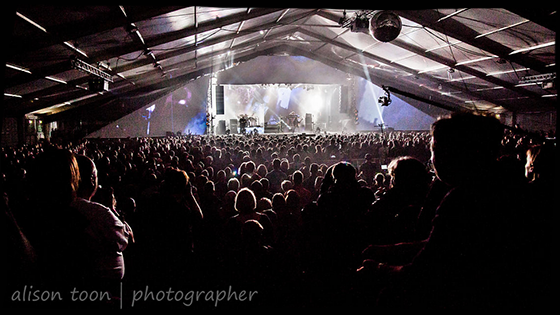 Luna Rossa’s ‘Big Sister’ band will open for Marillion on the Main Stage, 7pm Friday 24th March! NOV 2016 • LUNA ROSSA perform as Special Guests with CAIRO - 3 exclusive shows! 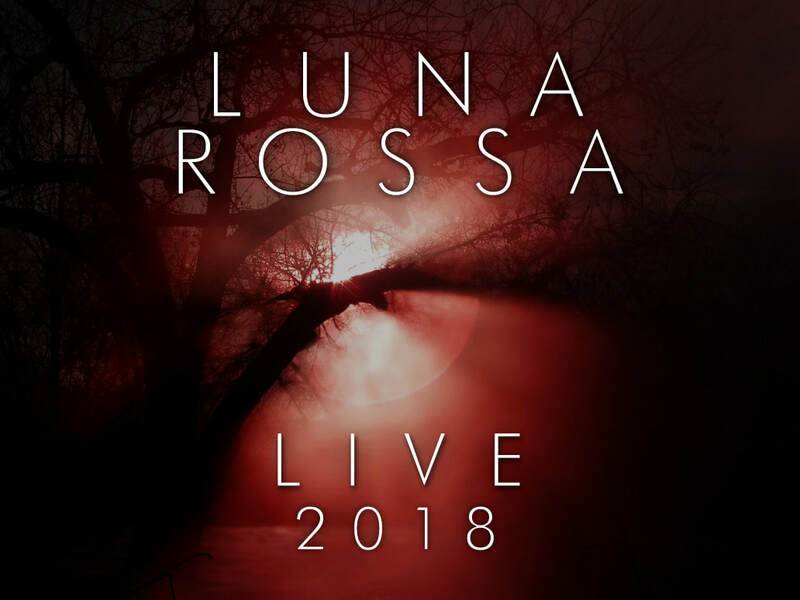 LUNA ROSSA will be performing at 3 album launch dates for CAIRO... the new rock band from Touchstone founder, Rob Cottingham. 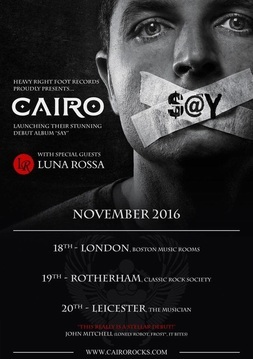 CAIRO will be launching their debut album 'SAY' with gigs in LONDON, ROTHERHAM & LEICESTER and have chosen LUNA ROSSA to be their special guests. These will be our only live dates this year, so don't miss this opportunity to see us on stage and also be there at the birth of a new group. 12.12.15 • LUNA ROSSA Christmas Single Released - available NOW from Bandcamp! and Sarah Dean on the Celtic Harp. LUNA ROSSA will be playing 3 very special Christmas concerts this December in their expanded quartet incarnatation... featuring Andy Coughlan on double bass and bass guitar and Sarah Dean on harp and harmony vocals, alongside Anne-Marie and Jon. The band will be playing music from their debut, 'Sleeping Pills & Lullabies' and this year's release 'Secrets & Lies' as well as premiering some new material and a few surprises for these special live appearances. Book now for a perfect musical start to the festive season! APRIL 2015 • ’SPARKLING' NEW REVIEW of SECRETS & LIES - now online at DPRP!!! "...A release with emotional honesty and exquisite arrangements... An album that sparkles with moonlit tunes." Todd Rundgren classic: 'Tiny Demons’. (The song was originally only featured on the free 7" single given away with initial copies of Todd's 'Healing' album, but has become a firm Todd fan favourite). The Luna Rossa interpretation features some gorgeous piano, flute and guitar soloing from Jon, Anne-Marie and Tim Hamill... and the beautifully open production creates a wonderful sense of space, allowing each instrument to breathe & a stunning, subtle and understated vocal performance to shine through. this honest, beautiful and sometimes heartbreaking record is a triumph." 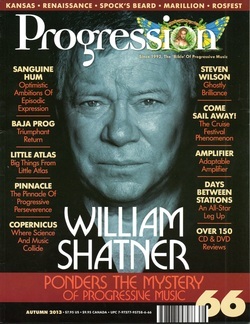 There a 3 page feature on LUNA ROSSA in the new issue of PROG magazine out now. Anne-Marie & Jon were interviewed by Paul Sexton for this article, which is accompanied by some fantastic photography from Jason Parnell-Brookes. The duo talk about the origins of Luna Rossa and the making of the new album 'Secrets & Lies'. The issue also includes the results of the 2014 Readers Poll in which Anne-Marie was voted 6th BEST FEMALE VOCALIST and was placed 7th in the new WOMAN OF THE YEAR category! "Anne-Marie has a very expressive voice and the multi-instrumental talents on display allow Luna Rossa to explore jazz, folk and neo-classical influences. Take your time with this album and you will be well rewarded." A track from the new LUNA ROSSA album 'Secrets & Lies' appears on the covermount CD free with the new issue of PROG magazine out now, with a full length article on the band due to appear in the following issue which will be out at the beginning of February. 'Fly Away' is the featured track in the January 2015 issue and the magazine also includes the 2014 PROG Critics Top 20 albums. We're really chuffed to see 'Secrets & Lies' appearing in the Top 20 lists of 3 of the staff and writers at PROG, including a No. 1 placing from writer, Rachel Mann. Panic Room's 2014 album 'INCARNATE' was also placed in Rachel Mann's Top 20 at No. 3. There's a fantastic review of 'Secrets & Lies' now online at THE PROGRESSIVE ASPECT - Jez Rowden writes that the album is "a great collection of songs delivered with style and care... the arrangements are sumptuous and warm... the results are compelling". You can read the whole review in the mag which takes '1974' as it's focus with the main article focussing on albums released in that year (King Crimson: 'Red', Yes: 'Relayer', Rick Wakeman: 'Journey To The Centre of The Earth', Jethro Tull 'Warchild' etc.) as well as interviews with Banks & Rutherford who talk about what they thought of 'that' documentary! 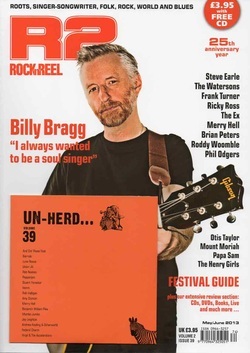 The magazine also includes interviews with Jackson Browne, Sinead O'Connor and The Levellers. NEWS • 23.10.14 - SECRETS & LIES now available to Download!!! We’ve just finished our 2nd studio session, and had a great time recording at Sonic One again! We were also joined for a couple of days by the fabulous Sarah Dean, who recorded some shimmering harp lines and melifluous melodies for us! So we're truly excited about all the twists and turns that this new music is taking! We need to make these choices before we go back in to start mixing, in just over a week! So we will be announcing the title of the new album very soon... and hope to have a preview of some of the artwork for you soon as well! We're working with a brilliant young illustrator on this, and it's a huge buzz to see everything coming together! LUNA ROSSA have been confirmed for the headline slot on the Acoustic Stage on Saturday, 2nd August at RESONANCE Festival in Balham, South London. The Festival, being held in The Bedford in Balham. is a charity event in support of MacMillan Cancer Support and will feature a wealth of electric and acoustic music for you to enjoy across 4 days. We'll be onstage at 3pm in the Globe Theatre inside The Bedford, performing songs from our debut album 'Sleeping Pills & Lullabies' as well as material from our forthcoming new album and maybe a couple of surprises as well! We hope lots of you will turn out to support this worthy cause and catch some wonderful music into the bargain! See you there. LUNA ROSSA have just finished the 1st studio session for their 2nd album to be released in Autumn/Winter this year. We've been back at Sonic One with Tim Hamill for the best part of a week starting to record songs for our 2nd album. Plenty of lovely grand piano and acoustic guitars down already and an amazing couple of days with double bassist extraordinaire, Andy 'Wal' Coughlan have produced some beautiful melodies and textures for the songs already. We're back in the studio in the middle of August with harpist, Sarah Dean and looking forward to working with her and hearing the magic that she'll be sprinkling over the songs. It's a real privilege to be able to create with such amazing musicians. There'll be plenty for fans of our debut 'Sleeping Pills & Lullabies' to enjoy, but we think people will also see a progression in the songs on the new album as our musical adventures continue. We've just tried to let the music take us where it will and sometime that's down friendly familiar paths, but sometimes it's to strange new horizons as well... so we follow where it leads and we hope you'll enjoy the trip as well! Thanks to everyone who voted for us - we really appreciate your support! 'Velocity' - the opening track from the new PANIC ROOM album 'INCARNATE' is featured on the cover mount CD ('NEW SPECIES - Volume 13') that comes free with the magazine. 'Sleeping Pills & Lullabies' gets a 15 out of 16 review from writer, John Collinge, in the Autumn 2013 edition of PROGRESSION magazine... John describes the album as "romantic and introspective" with "Helder and Edwards making a winning creative duo". You can watch a fantastic review of 'SLEEPING PILLS & LULLABIES' by Marcel Haster at www.liveprog.com. As Marcel himself says, while prog was the reason he started reviewing albums, he's discovered over time many albums that, while not really fitting under the prog 'umbrella', have made an impact on him... and LUNA ROSSA is one of those... it's just beautiful music... in fact I think this review must win the prize for the most uses of the word 'beautiful'. It's great to see someone who obviously has a real love and passion for the music that they're reviewing.... Enjoy! 08.11.13 • THE CONTACT by Anne-Marie Helder - STRICTLY LIMITED No OF COPIES AVAILABLE! While stock-taking at Firefly Music we uncovered an unlabelled box in amongst the PANIC ROOM and LUNA ROSSA CDs and, on opening it, we discovered a small but perfectly formed treasure trove! - 55 copies of Anne-Marie's long deleted solo CD from 2004: 'THE CONTACT'. This is a rare opportunity to hear an award winning artist at the start of their musical career. 'The Contact' has been out of print for nearly 2 years and there are currently no plans to reissue it, so this could be your last chance to get a copy of the CD that Bob Harris described as "VERY dramatic music' and Musical Discoveries praised for it's passion and expression, singling out Anne-Marie's "simply stunning vocal performances". The powerful, emotional voice, excellent musicianship and songwriting skills evident in her work with Panic Room and Luna Rossa are already firmly in place on this wonderful collection of heartfelt songs. The album also features Roger Waters' guitarist, Dave Kilminster, on several tracks and is sure to appeal to fans of Panic Room and Luna Rossa. This very special release contains Anne-Marie's original solo versions of 'Blood Red Sky' and 'Exodus' that have become firm favourites in Panic Room's live set. NB. WE EXPECT THESE LAST 55 COPIES OF 'THE CONTACT' TO SELL OUT QUICKLY - SO ORDERS WILL BE TAKEN ON A FIRST COME, FIRST SERVED BASIS - IF WE ARE SOLD OUT WHEN YOU ORDER - A FULL REFUND WILL BE GIVEN. BUY YOUR COPY NOW! The August issue of PROG magazine features a fantastic review of 'Sleeping Pills & Lullabies' by Rachel Mann, the journalist who interviewed us for the feature on LUNA ROSSA back in the June issue. It's great to get a review from someone who's obviously spent some real time with the music... and 'gets' it! 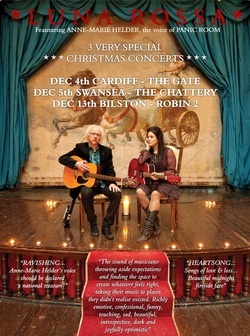 "LUNA ROSSA are beautifully poised between the explorations of Kate Bush and the powerful singer-songwriter tradition that stretches back to Joni Mitchell and the US West Coast of the early 70s"
The issue also features an articles on the magnificent ELBOW guitarist, Al DiMeola, and Gentle Giant as well as the usual round-up of album and live reviews. 17.07.13 • SLEEPING PILLS & LULLABIES - Reviewed in CLASSIC ROCK - Out Now! Geoff Barton reviews 'Sleeping Pills & Lullabies' in the new edition of CLASSIC ROCK magazine - where he claims that "if someone told you this was Pentangle singing Nick Drake's back catalogue, you'd probably believe them." - & we're chuffed that he hears sonic connections with such greats of the UK 70s acoustic scene in our music. The magazine also features a great article on the making of Stephen Stills' debut album in 1970 and a buyer's guide to the albums of Black Sabbath - all in all a great read! OUT NOW! 16.07.13 • SLEEPING PILLS & LULLABIES Reviewed in R2 Magazine - OUT NOW! Plus: 'The Dark Room' features on the Cover CD! And if that wasn't enough, there's a fantastic review of LUNA ROSSA debut album 'Sleeping Pills & Lullabies' in the Roots section, in which they describe the album as "lushly melodic" and Anne-Marie as "a first class vocalist of confidence and warmth". The opening track from the album 'The Dark Room’ also features on the covermount CD. All this plus a 14-track CD of original new music too - we think it’s well worth the modest sum of £3.95! An extensive interview with LUNA ROSSA by website editor, Russ Elliot. is now live at MUSICAL DISCOVERIES along with Russ's review of 'Sleeping Pills & Lullabies'. In the interview Anne-Marie and Jon talk in depth about the origins of the project, song writing, the recording process and what it was like working with the other musicians and technicians on the album. They also discuss the similarities and differences involved in working with LUNA ROSSA and PANIC ROOM. 01.07.13 • SLEEPING PILLS & LULLABIES Reviewed at GET READY TO ROCK! There's a great new review of 'SLEEPING PILLS & LULLABIES' on the GET READY TO ROCK! website, courtesy of Pete Whalley. He describes the LUNA ROSSA debut as "A very beautiful album in every sense... and one you'll want to listen to time and time again". The album is also the Featured Album on GET READY TO ROCK! RADIO. Read the whole review and listen to GRTR RADIO here @ : GET READY TO ROCK! 20.06.13 • Exclusive LUNA ROSSA Track featured on Mandy Marton's RADIO SEAGULL Show! the 1st ever airing of the exclusive 'GASP - NAKED (Ambient String Remix)’!!! Stripping the song down to its bare essentials! ﻿19.06.13 •﻿ SLEEPING PILLS & LULLABIES - Excellent Review in FIREWORKS Magazine! The July/August issue of FIREWORKS - the Melodic Rock Magazine is out now and features a lovely review of 'Sleeping Pills & Lullabies' by John Tucker, in which he describes the album as 'an entrancing, enchanting and inspiring body of work'. The review also contains snippets from a lengthy interview that John carried out with Anne-Marie and Jon shortly before the album's release, during which they discussed the genesis of LUNA ROSSA, the songwriting and recording process and how the making 'Sleeping Pills & Lullabies' differs from their work with PANIC ROOM. You can read the full transcript of the interview shortly in the press section of the website. In the meantime, with it's extensive album review section, interviews with Alex Lifeson of RUSH, Ian Gillan & Blackmore's Night among others as well as a free CD, it's well worth getting a copy of FIREWORKS from your local W H Smiths or other magazine retailers. RADIO SEAGULL's Mandy Marton will be featuring 'Sleeping Pills & Lullabies' on her fantastic Friday evening show 'MANDY'S MUSICAL MINX' on 21st June. The show is broadcast from onboard the 'Jenni Baynton' ship which is moored in Harlingen harbour in the Netherlands. Mandy always has a fantastic selection of music and often plays PANIC ROOM on her show. She was the 1st DJ to play LUNA ROSSA on air and this Friday she'll be playing the entire album during her show between 9pm and midnight. 10.06.13 • SLEEPING PILLS & LULLABIES Official Release Date TODAY! TODAY is the official release date of 'Sleeping Pills & Lullabies' so as well as getting it from our website shop. you'll also be able to buy the physical album from Amazon, HMV, etc... and if downloads are more your thing, you can also download it from iTunes, Amazon and most other sites that offer downloads. Anne-Marie and Jon would like to thank everyone who pre-ordered the album - we've been thrilled with all the hugely positive responses we've had to 'Sleeping Pills & Lullabies' and just overwhelmed by the lovely comments that people have written about LUNA ROSSA on our Facebook page and elsewhere... it's a really great feeling to read how the music we've made touches the people we make it for... You!. But also, your comments really do make a difference by helping to promote the album and encouraging other folk to check out the music... so thanks to all of you for showing both of us your support. 05.06.﻿13 • LUNA ROS﻿S﻿A interview and ﻿re﻿view﻿ in ROCK SOCIETY May/June Issue - OUT NOW! 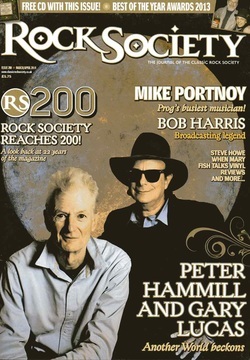 The new issue of ROCK SOCIETY magazine - the journal of the Classic Rock Society - is out now and features an in-depth 3 page interview by Stephen Lambe with Anne-Marie and Jon in which they discuss the origins of the LUNA ROSSA project and the recording process of 'Sleeping Pills & Lullabies'. The article also features a track-by-track analysis of the album by Anne-Marie and Jon as they talk about the inspiration and ideas behind each of the songs on the album. There's also a great review of 'Sleeping PIlls & Lullabies' in the magazine - where it's described as "a superbly crafted album awash with some terrific and subtle arrangements". 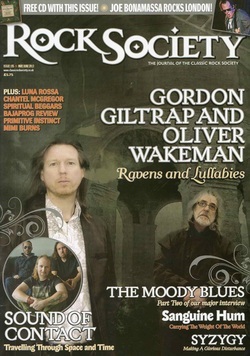 As well as the feature article on Luna Rossa the magazine features 10 pages of album reviews, live reviews and articles on Gordon Giltrap, The Moody Blues and Sanguine Hum among others, so it's well worth getting a copy! 01.06.13 • LUNA ROSSA featured in PROG Issue 36 - OUT NOW! All this and the making of Tubular Bells and the history of Virgin Records... what's not to like! The mag is available now from W.H.Smith, Tesco's etc. Sleeping Pills & Lullabies - Pre-orders posted! 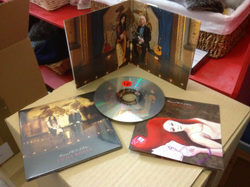 The album came back from manufacturing a little while ago and looks FAB! It's a deluxe gatefold card sleeve, like a mini replica of the old gatefold vinyl album sleeves with a lyric booklet that features a bespoke cover image by Anne-Marie herself.... We think you'll love it! Anyway, we finished packing and getting the orders ready on Wednesday evening, so the pre-orders were posted out yesterday (3oth May). All you UK based folk who ordered the album should get your copies coming through the letterbox on Saturday morning - which is Anne-Marie's birthday - so you can join in the celebrations by playing LUNA ROSSA on the day! NB. Pre-orders from outside the UK were posted today so should arrive fairly soon too! and we'll start a fan review section on the website so that everyone can read them! 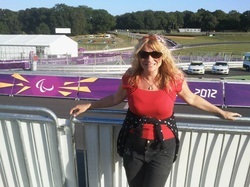 LUNA ROSSA track featured in the new edition of R2 Magazine - OUT NOW! 'Leaving For The Last Time' - a track from the debut LUNA ROSSA album features on UNHERD Volume 39 - the CD free with the new May/June edition of the marvellous R2 magazine. This is your first chance to hear a complete track from 'Sleeping Pills & Lullabies' in advance of the release date. Issue 39 is out now and you can find it on the shelf at W H Smith and other newsagents. 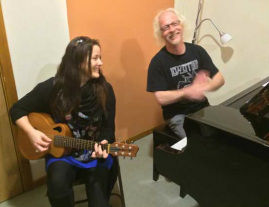 This particular piece is the only instrumental on the album and was improvised live in the studio by Anne-Marie and Jon on flute and grand piano respectively, full of warmth and melancholy.